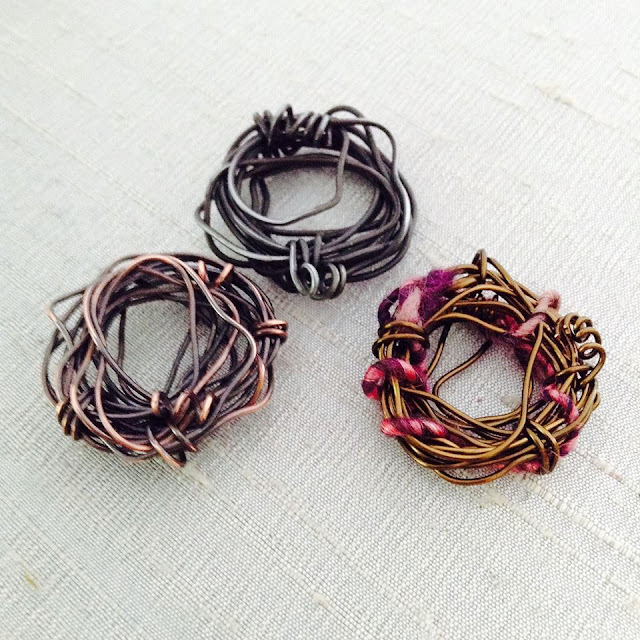 Today on Bead Table Wednesday I shared how to make these quick and easy wire nests to use in your jewelry designs. I used 20 gauge wire for the nest and 18 gauge wire for the bird. You can use any kind of 20 gauge wire for your nests. Left to right: antiqued copper wire, dark annealed steel wire, brass colored wire with a bit of WoolyWire wrapped in - inspired by Sue Woods! Want to whip up one for yourself? 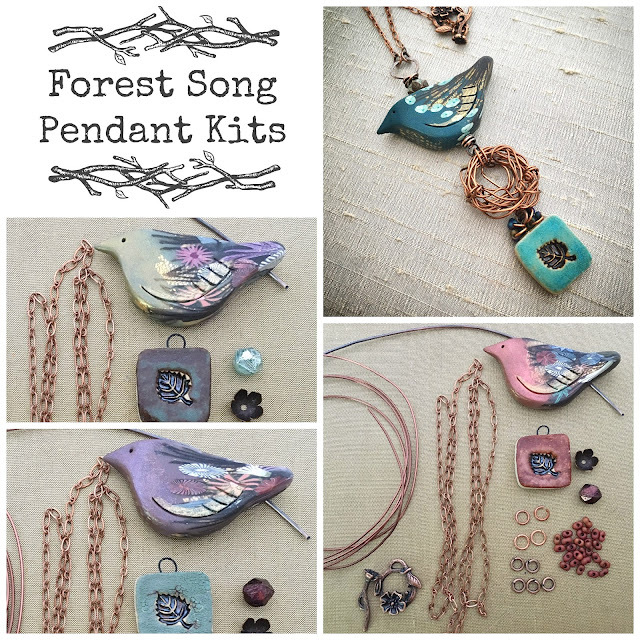 Check out the limited edition kits on my website. 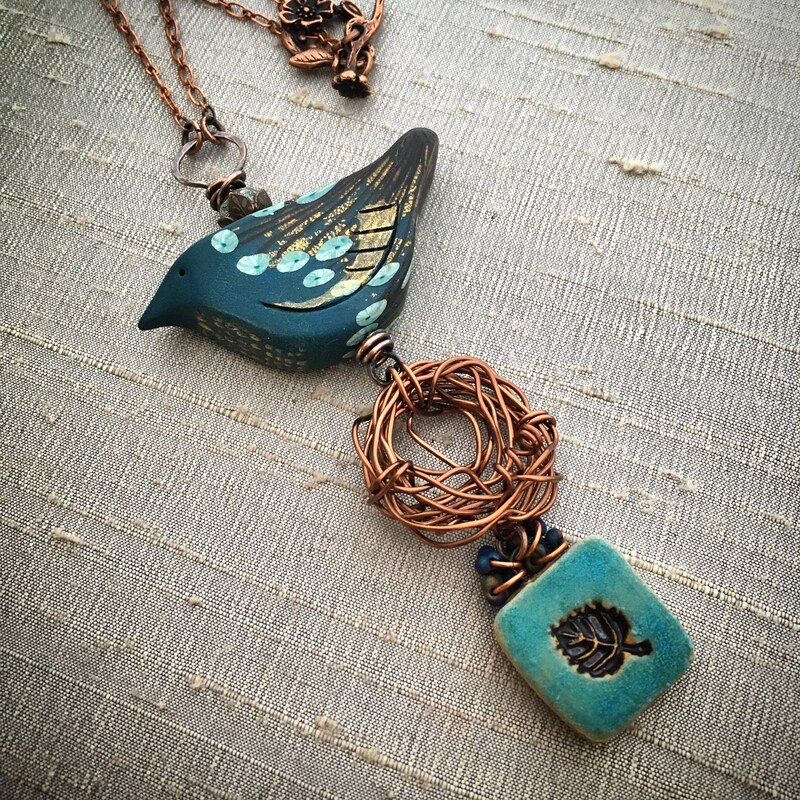 I love your tip about using jump rings and peanut beads as fillers. Thank you!